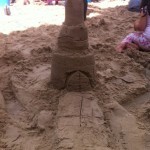 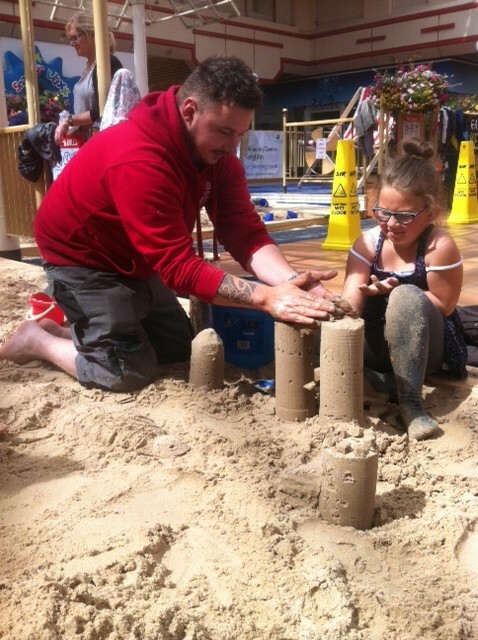 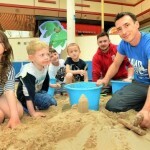 This summer, we were really pleased to be invited to the Airedale Shopping Centre in Keighley to show the visitors a few tricks of the trade so they could make their own fantastic sandcastles and sculptures. 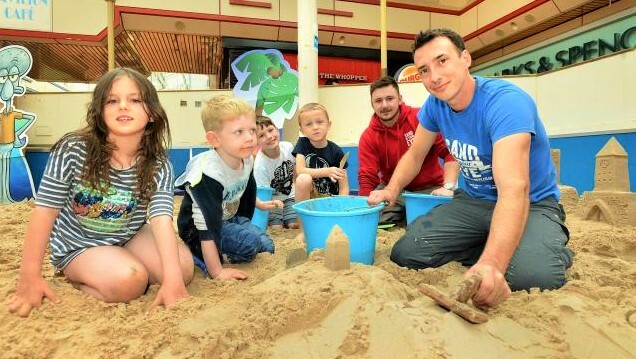 It was a nice change to work locally after travelling around the UK over the summer and it was a perfect chance for James to use the skills he had been practising in our studio. 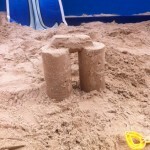 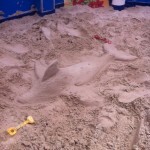 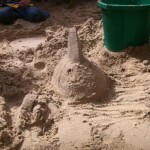 We worked in a great indoor beach area they had created and throughout the day, we had many budding young sculptors joining in. 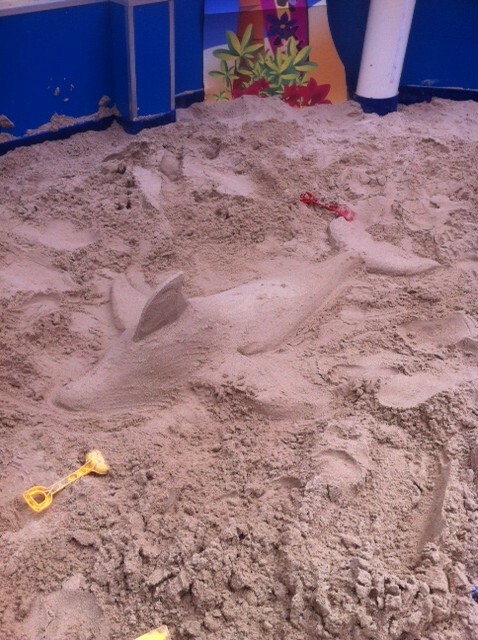 There were so many people going on holiday the next week so many parents were really happy that we had inspired their kids so they had something to keep them occupied during their beach breaks! 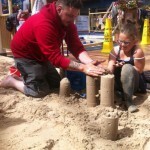 It was a lovely day and James did a grand job running sculpture workshops for the first time!